I am putting up this thread to mark the comments of the founder of this site who writes on twitter of the betrayal of the UK by the current prime minister. This is not an ordinary time . The Far Left remainer BBC is treading carefully – as must we and our language in trying times .. I assume that you mean David Vance. I don’t use twitter, is there a link? The problem is that if collectivist, Dancing Terry May, and her Civil Service commie gang get away with selling out Gibraltar, what will be next? The Falkland Islands? Maybe the French have their eyes on the Channel Islands? I think it’s clear that Mrs May is not the person she’d like us to believe she is; she’s not a democrat, a Christian, truthful, loyal or patriotic. If we are known by our deeds then Mrs May is a wicked person. And she must know that but doesn’t care, possibly because people more powerful than her, giving her instructions, have told her she’s protected. She’s obviously not a believer in the Bible; if she’d read it to the end, she’d know the outcome – we win. And the evil ones spend eternity in hell, but at least she’ll be with her mates. Theresa May sell out list. – updated. I wonder if I’ll get a reply? She’s sold out the whole country basically – or given it away more like. May is a liar and a bad one. Blair was good at it as people often believed his lies, I normally saw through them but a lot were fooled. However, May is useless at it. Of her many lies on Brexit the worst two are: 1. “Brexit means Brexit”. She clearly klnew she was lying as to her Brexit was always going to be a form of Remain. And she has achieved the worst type of Remain possible. 2. Her other blatant whopper is “No deal is better than a bad deal.” She had no intention of going for a no deal (which isn’t that bad anyway due to WTO rules). It’s clear that she was happy to accept anything the EU ordered her to take, which is why they refused to negotiate in good faith and is why, therefore, that we have ended up with a worse deal than I thought possible. Now she has compounded that with effectively giving away Northern Ireland and Gibraltar. She is a disgusting person and a traitor of the first order. I hope there will now be a flurry of letters to the Chief Whip. She has got to go! Why did the Tory Party chose her as their leader ? Tory MPs who really want to exit the EU need to move to UKIP. Most of them won’t go to UKIP as they believe they will lose their seats at the next election and their careers are more important to them than democracy. Maybe some of the others are staying because they hope to take over and lead us to a proper Brexit – at least I hope there might be some with that much integrity. Probably too much to hope for that. Demon, definitely too much to hope for. Political integrity …the ultimate oxymoron. Hmmm…it was certainly a stitch up, particularly the way Leadsom quite right at the outset to give May a shoe-in. I cant believe the rest of the devious bastards didnt know what she intended to do. For those who are on Twitter, may I suggest you reply to the dreadful woman and tell her (within Twitter rules of course) what you think. Roland, She posted this at 11pm last night. A desperate attempt to get the public’s backing. There have been over 3,300 comments already and I couldn’t find one supporting her, they all are so negative. And yet she goes ahead, treacherously giving the UK and it’s citizens to the EU. It really is unbelievable. I and millions like me are so appalled this morning it truly is a tragic day. Thank you for posting this – but I don’t think it’s worth reading – The outgoing PM has lied enough already without needing to put any more into print . Listening to Arlene Foster – perhaps she would have been a far better real negotiator if May had not been a remainer . She is obviously finished – but it’s the fourth time I’ve said it . If the Calibre of MPs was higher she be long gone – but there again lot of them are remainers ignoring the vote of the people .
. At least we know it can’t be any worse – can it? I believe the sellout Plan B has already been agreed with the EU. The current plan is all part of the charade of trying to look like the UK has negotiated to leave, when that was never the intention. Yes indeed – all smoke and mirrors. How much need is there to negotiate anyway. Just tell ’em we’re leaving and ask how they want to trade after we’re gone. After all, I believe May was Home Sec. when the European Arrest Warrant was re-affirmed. That’s all anybody needs to know about her. We’re keeping it, of course; they will still be able to bang you up overseas on the strength of an allegation. Cry the beloved country. Those DUP people are superb. Not a word of nonsense from any of them. 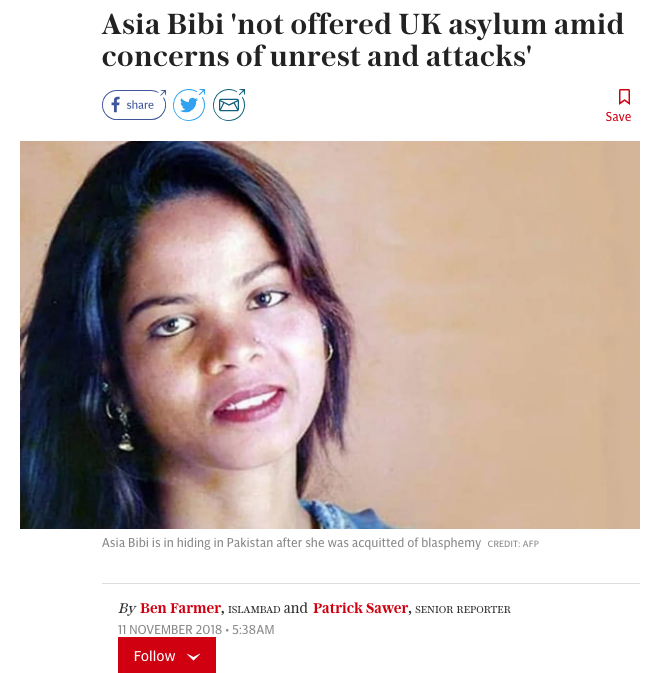 We offer aid to Pakistan … but cannot protect their women in the UK? We should give her asuylum, cut off aid and then robustly deal with any trouble it may cause. This is all just extraordinary. What a betrayal from that treacherous woman. I’m trudging off to do a few things. I really hope there will be some positive info when I return in a few hours, but it really does look bleak and I don’t suppose anything can change early Sunday morning. Our far left Marxist State Broadcaster reports that Treason May will attempt to persuade all the public that her deal is the right one for the UK. I and most, see the deal as a sell-out from a dishonest* person who should never have been trusted in the first place to, “lead” the country. From what I’ve heard, one of her, ‘selling features’ (the ‘unique selling point, if you will) is that we will be, ‘taking back control of our borders’. Well then, Treason, irrespective of the EU, how do you square that with the UN Migration Compact you signed (after the Referendum) in 2016 and the UK will ratify on the 9th December 2018? *Legal dishonesty was fully defined in the criminal case of R v Ghosh (1982). The ‘test’ is two-part, first, the question: has the defendant been dishonest by the ordinary standards of reasonable and honest people. If the answer to that is, ‘yes’, it should then be asked whether the defendant had realised that they had been dishonest by those standards. Two positives prove ‘dishonesty’. Since the law has to, by convention, ‘police’ the public at the standard the public finds acceptable, the Ghosh test may need amending to adjust to the influx of, essentially dishonest people that lie as a matter of course, notwithstanding, “taquiyya”. The future is grim and the blatant hoaxes go on and on and on……….. This farce document will be rejected by Parliament. It has been exposed as a ‘Brexit Means Remain’ document. We will have to Leave with a ‘no deal’ because that is exactly what was voted for democratically. Trump will have a view on this. There will be no pro-Brexit help from the BBC. I want to believe it will be rejected but I expect it to be bounced through by a collection of remain MPs who recognise that it is effectively remain. There might be 10% of the 650 with some integrity but the rest are spineless cowards happy to stand by and watch this country sold down the river. I’m expecting it to go through and won’t be much relieved if it doesn’t, since the stitch up will continue one way or the other. Knighthoods, peerages and other inducements will be falling off the Christmas tree like confetti and it goes without saying that the vote of anyone who knows that there are photos of them in bed with a twelve-year old in a file somewhere is in the bag. My message just sent to Mrs May. Now listening to R4 where we have yet another BBC bias discussion from a Bishop from CoE in Europe – his whole narrative has been on how bad Brexit is and the poor ex-pats who can’t decide whether they are British or European. Poor deluded sods, Brexit didn’t cause that..
What Theresas real plan is, whether she wants to keep us in the EU, completely surrender us to vassalage or have another referendum – I dont really care anymore. WHAT I do know is that she and her globalist friends are an affront to any delusions that we ever had that we are free people and democratic nation and if we want to hold our heads up in the future she, this, they, – need to be fought – to the end. Boris isn’t everyone’s cup of tea but his speech to the DUP conference was well worth listening to and noteworthy from the point of view that the MSM have given it very little coverage. Sky broadcast it live and he was well received but the follow up proves that the MSM have been well and truly bought off by the power brokers. I think most of us knew we were in trouble when Robins purged the Brexit team after Davies quit. Watch out for the one about the light sabre. If ONLY he could take over from Theresa May! Working at desk – R4. Sunday Worship..it’s about gender based violence….WTF…Do they have to push their narrative in every bloody programme? Radio off…. No ear can be left unpunished. And audience figures plummet ever downwards. The longer this charade has continued the more you realise we’ve been had. From the day of the vote it’s been ‘ oh what sort of brexit do we want, a hard brexit or soft because hard is so BAD’! We voted just plain out. End of. I think this is just part of it. I think there are monumental changes afoot to the way we live, think and are governed. We have been in a war for a very long time – just a pity no-one bothered to tell us. We are going through the biggest political change in western Europe since 1945 and how do we the British people protest ? Strongly worded letters to our MP. People using CAPITAL letters in e-mails. The French put up diesel prices and they riot, kill and set fire to barricades. If there is any don’t as to why we need to leave Europe then we only have to look across the channel today. Things are relatively prosporess now just wait to the economic slump begins. Europe will collapse all will blame immigration for lack of jobs , crime etc. How do we handle fuel increases ? A shrug of the shoulder and cut back in expenditure….ok I usually buy a scotch egg after filling up at Morrison’s on a Friday. If fuel goes up I’ll leave it on the shelf. That’s the British way. If the French were the ones leaving you can bet that they would get a much better deal because their civil servants and President would know that any hint of betrayal would result in a civil unrest. It’s because of the ‘British way’ as you put it that our PM can betray the Brexit vote with no concern . Hey, i’ve just bought a brand new car and what a great deal i’ve negotiated! I paid the full asking price of £20,000 but the car dealer said my 2 year old car wasn’t worth anything. Fair enough, they know best but all i have to agree to is use my new car when the dealer says i can and keep it for as long as they say i can. Great deal don’t you think? I secretly learned this ‘negotiating’ technique from Mrs May and Oily Robbins which should stand me in good stead for the future! Sorry to sound triumphant but I have got a better deal than you. I borrowed thirty nine billion pounds when I am already quillions in debt and gave it all to lying people who hate me and have spent the last seventy years trying to obliterate my people and our history. 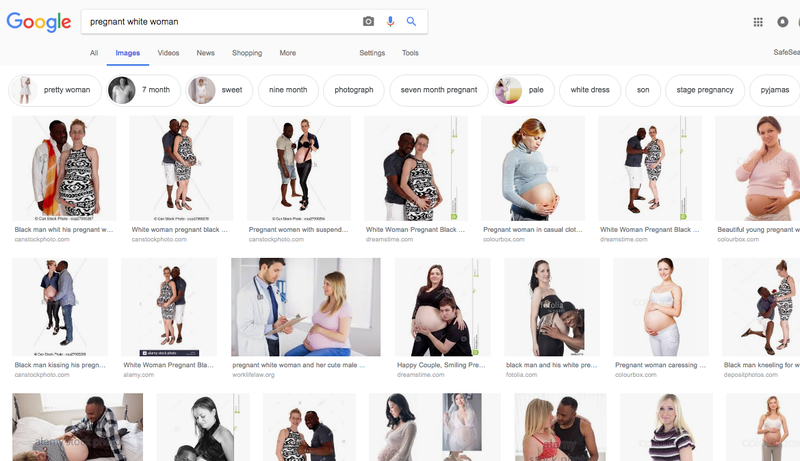 Google Search: “pregnant white woman” … has MEN. 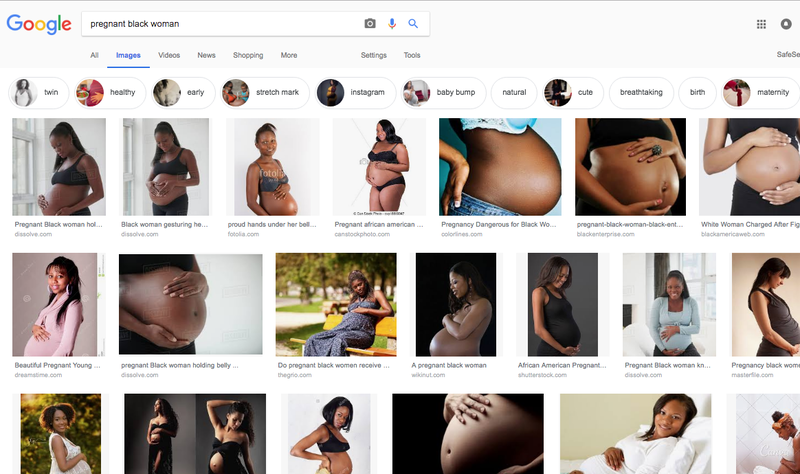 Google Search: “pregnant black woman” … no MEN. 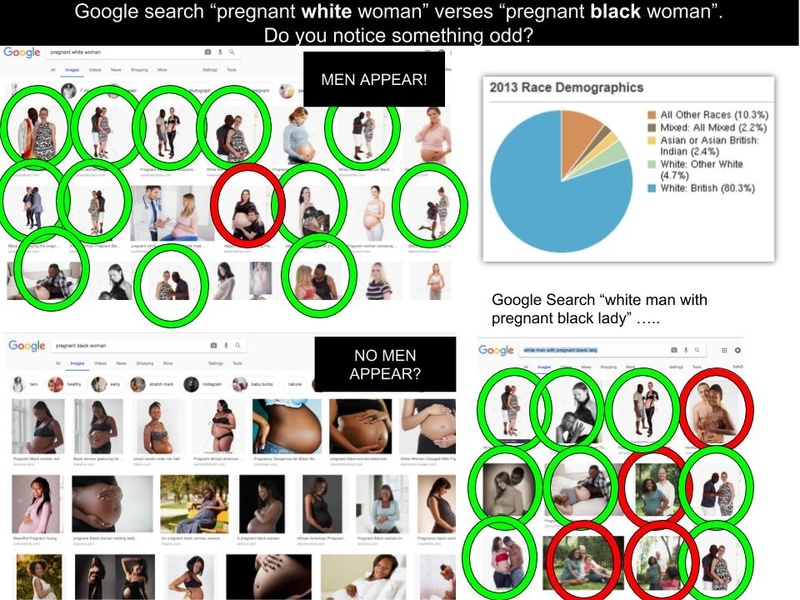 Google search “pregnant white woman” verses “pregnant black woman”. Do you notice something odd? The searches are not racist in an anti-white way, it’s just the way language works in a country where the population is STILL overwhelmingly white. .. EXCEPT if there is something unusual like the husband is black. In pages where you are talking about black women being pregnant you almost always mention the skin colour, no matter if the husband is black or white. ..”White couples” , yes well you only use that phrase if you are comparing white vs black or mixed race couples. Um, could do more searches. Does not explain “white man with pregnant black lady” which is precise. Nah, it’s not a Googlewhack. To qualify as a Googlewhack, your search term must consist of precisely two words. Back on Wednesday 21st he pointed out that on Nov 1 the BBC and all MSM went haywire celebrating the new Resplandy paper which showed ‘Global Warming is worse than we thought’, however when large errors were pointed out, meaning that the peer review process was rubbish.. the BBC waited until Nov 20 and rewrote a new version of the BBC page over the top of the original. so those comments now look very ironic. .. people should know that when a new groundbreaking papers come out , you should never accept them as gospel, cos errors are often found . The Remainers led by Mrs T May have been intent on murdering Brexit through the political equivalent of death by a thousand cuts. Delay has been their great ally and there are plenty of individuals – politicians, media folk especially the BBC, academics, lobbyists, pressure groups, businessmen and much of the rest of the amorphous mass of the great and the good – who have been willing to play the role of quislings in the service of the EU. Like most here I do not like the deal that is being continually sold to us-but seriously what can we the public do to remonstrate against it? Other than flood our MP’s with letters, of protest which likely will never be read. Maybe too late for the Leave political group to roll up their trousers and wade into the battle but they should try nonetheless.. Socially we have been wrecked by lies and the propaganda of multiculturalism-hence we now see what we do around the streets of our towns and Cities. Let’s hope the last line comes true. Although, she won’t be alone, will she, Mr Robbins? Sorted! It has taken less than 40 minutes for all 27 European Union leaders to officially endorse Theresa May’s Brexit plan. It is signed. Unbelievable and what next. True true sadness. How dare she turn around and come back to no. 10 and pretend to represent the people. Have all 27 leaders really endorsed it? How come? Why would they not sign it? They have a fantastic deal and are hugging themselves in glee. Under May and Robbins, we will become (unless the HoC shows some bottle) absolutely tied to the EU with them having a veto on our leaving. It is quite astonishing. And, as we all know, will have no say at all during an indefinite ‘transition period’. They undoubtedly have plans to bring in legislation and policies during the next few years that will be extremely damaging to the UK, whilst we stand powerless on the touchline, unable to do anything to stop it. Indeed, we become a vassal state or an emasculated colony of Brussels. I understand the zeal of the Commission, but was hoping that countries like Hungary or Italy (those at odds with the EU) would rebel. Apparently not. I think I must be missing something. Was it the Council, i.e. Heads of State, who voted? I understand there was a ‘concensus’ not a vote . Anyway with £39 000 000 000 000 coming their way the likes of Spain and Italy will have been bribed with out cash . Nice touch . A ‘consensus’ would explain it. Because they wrote it. Now they know that they can haggle all they like, because the delay in gaining our freedom is paid for by us, so Spain will get Gibraltar, France will get fishing rights, etc. We are utterly fucked if this goes through. Well it’s great for them and I imagine that despite all the fire and fury suggesting that it will never get through at Westminster, they’ve already been tipped off that it’s in the bag. Never before in the field of human history have so many been betrayed by so few. It’s extraordinary because if you read anything that is not MSM the comments and articles are all in agreement that it is the worst deal in history. Our own British Broadcasting Corporation, Sky etc. haven’t questioned it in depth at all and yet it seems over 70% of the British people are against it. We are so represented by the current MSM. Good on you BBC for your representation of our nation and for the people who fund you! How right your are English Lass-indeed the BBC et al were so shocked that the British Public could have taken such a vote as to Leave the EU, it may have taken them 10 mins to regain their composure but have since more than made up for it in their one sided reporting. Let us all hope that there is still some Politicians with guts to renounce this awful communistic deal that has been thrown at the UK. Our Policians have been like a lot of sheep lost in the fog of misculculation, the British public is not amused it is seething with anger. Where do we go from here? We fight on for the freedoms so hard fought by our ancestors, including two of my sons who fought in recent theartre’s of war, thankfully both are alive. I have never felt continental even though I have worked and lived in some European Countries and made good friends with many who as it happens could never understand why the UK became a full member of the EU. Strange is it not? EL – Yes, but be aware that the bbc are likely to be seeing Corbyn taking over as a result of this agreement failing in parliament, probably in a General Election, or as a result of a second referendum, or both. Why on Earth would we want to stay part of this club that has threatened to kill millions of our citizens by withholding insulin supplies. I heard they would do this on our media channels so it must be true. It was, of course, ‘Remainers’ who didn’t know what they were voting for. No one on this site will be surprised at thebetrayal of the Brexit vote by the combined elite. Democracy has been well and truly trashed and a hundred years of parliamentary history has been thrown away. It is now undeniable that we do not live in a democracy and that people’s votes count for nothing. In the short term there may be mass protests and Leavers, taking a leaf out of the Remain play book , may refuse to accept this outcome. The long term political consequences of this denial of democracy are likely to be even more serious. It is highly likely that in ten years time there will have been a complete political realignment with at least one major new party which delivers what the people who vote for it want, ie this betrayal will fuel the rise of populism in the UK. I hope that this allows the British people to address the issue of Islamification which I believe to be a far more serious threat and issue than Brexit is. I’ve been outside for the last hour or so and I wonder if I’ve missed anything. Has May given the Falklands to Argentina, maybe with a present of £39 or so billion for some vague reason. Has she given the Channel Islands to France? Our brilliant deal with the eu where we give everything and they give nothing (maybe a hill of beans) has set new standards for negotiating. How much are the eu assets we have paid for over our membership or has she negotiated them away as well. Apparently, this deal is good for both Leavers and Remainers, says Ms May, and hers is the only deal in town. I think it was Hegel who did that. You have a thesis. Then the antithesis. The whole thing is resolved through a synthesis. This was ‘dialectical materialism’ in action, and guess what Political Movement it formed the basis for? Da, Comrade, you have it. 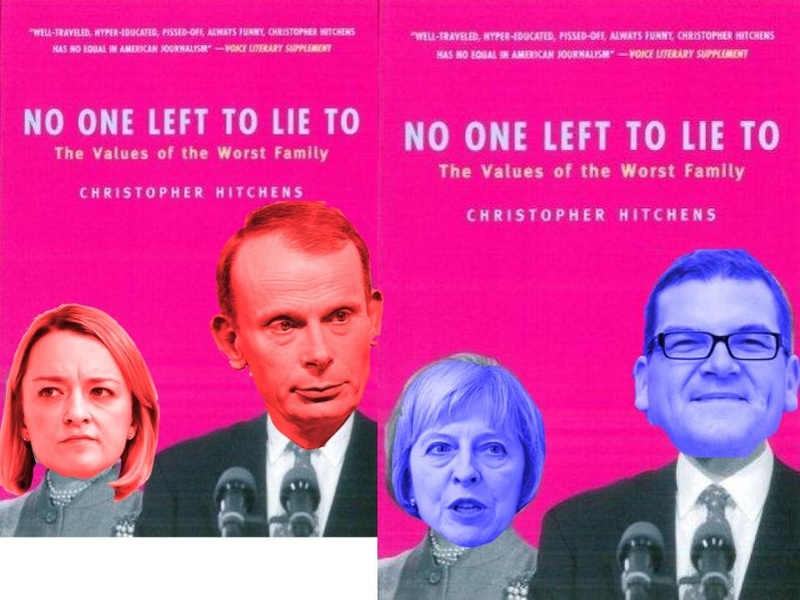 Maybe there is a simple basic explanation for Treezer’s betrayal – Family loyalty Someone may have threatened to publish stories about alleged jiggery pokery which her father may have been alleged to get up to. She has been at pains to remove information about him from the public eye. In the pub, I have just heared some idiot presenter on the radio telling us that if this country goes to ‘no deal’ we would not be able to go to Europe on holidays and that we would not be able to import cheese or wine either. Now someone tell me who will be thte first top blink? Not sure if it was Al Beeb? In the pub I have just heared some idiot presenter on the radio telling us that if this country goes to no deal we would not be able to go to Europe on holidays and that we would not be able to import cheese or wine either. Now someone tell me who will be the first to blink? What is the point of going on holiday, since the sky will have fallen in? Have the remainers been moaning much ? I don’t know as I’m avoiding MSM at the moment and relying on twitter . The DUP must bring this whole thing down – a first reaction – unless this whole process is to engineer a no sell out followed by a referendum followed by the traditional outcome – remain in the Reich EU . Democracy will them – of course – have triumphed- according to the remainers …. the £5.50 I have spent on my international driving permit will have been wasted . ‘May vows to stand by Gibraltar’. Oh dear. Poor old Gib. Still, probably the least of our worries. I have just emailed my MP who is a Brexiteer. I have stated among other things that Mrs May has sold us down the river and is a digrace to the conservative party and also the UK. I stated i would never vote for the tories again even if it meant spoiling my voting card , also it must be bad as the BBC have not been spouting “because of brexit”. so it must be bad and that Mps are also a disgrace not resigning enmass, all they are interested in in thier careers. He replied to me within 15 mins quite put out saying he was doing his best and that it will not get through parliament. He seemed upset that i had stated i wouldnt vote for them again . They are not in the real world these pampered people, do they really think we are going to roll over and forget this and when its time to vote we will just vote for them.They are also a disgrace. If enough people sent emails or twitter to thier MP they just might sit up and smell the coffee. Cromwell – good show – I did the same a week ago . The only issue that MPs worry about is the size of their majority . My MP IDS is a brexiteers but I have emailed him telling him he needs to kill the sell out and get an Article 50 exit without and selling out the country to a bunch of drunks in Brussels . IDS only has a 3500 majority and labour having been targeting the constituency for months . Whatever happens by the end of March the pink tories will being paying a big price for their sell out . IDS was on Sly, saying he would not back the “deal”, but he didnt say he would vote against it. This is not good enough, they need to show some proper loyalty to the country not their putrid party. In my book abstaining on the vote is just as bad as voting for it. Your MPs need to to be told in explicit terms only a vote against might save their bacon. I told off my MP (safe Conservative seat) and it was clear from his reply that he was a remainer, but I think the constituency as a whole is for Leave. Unless we can actually threaten them they don’t care what we think. We talk about MPs losing their seats if they fail to stand up for the country and reject May’s deal. But is losing one’s set in Parliament such a disaster when the post parliamentary rewards are so appealing? An MP loses his/her seat. OK, so there are numerous quangos, places in yoonies, seats on the boards of companies who will benefit from remaining, rewards from oil rich Arab states who want a united Eurabian state, highly paid Millibandish salaries from the every growing number of charities, and for the younger ones a promising career in the BBC. Give a few years there is always the prospect of a return to Parliament backed by the party elites. If I were one of the MPs receiving a letter threatening to withhold a vote, I would probably laugh as I tossed it into the fire. You may be right but there may be such a lot of MPs out of their ( second ) job that they may be a cheap market . Obviously many tories have money but there are are good few who depend on their parliamentary income – as well as the bribes they take of course . Only the dumb or very greedy get caught . I have learned that there is a new administration coming into the EU next year. Why would anyone tie their whole country into something so uncertain? Could it be that Maybot has an EU job lined up as a reward for betraying us? Lucy – it won’t be directly in the ReichEU but they’ll fix it for an IMF , UN or similar waste of time for her. And we won’t hear from her again . Her real brexit boy in the cabinet office is a cert for a peerage . btw, I am completely bloody sick of Google turning up anti-Brexit, looney-left results on searches related to the EU/Brexit. Mr Google throws an awful lot of Guardian articles to the top of searches. It might be time to look for a different search engine. Does anyone here have any suggestions? In the interest of impartiality are there any remainers on this site? Taffman, I suspect by reading the blog most are for a ‘proper’ Brexit. 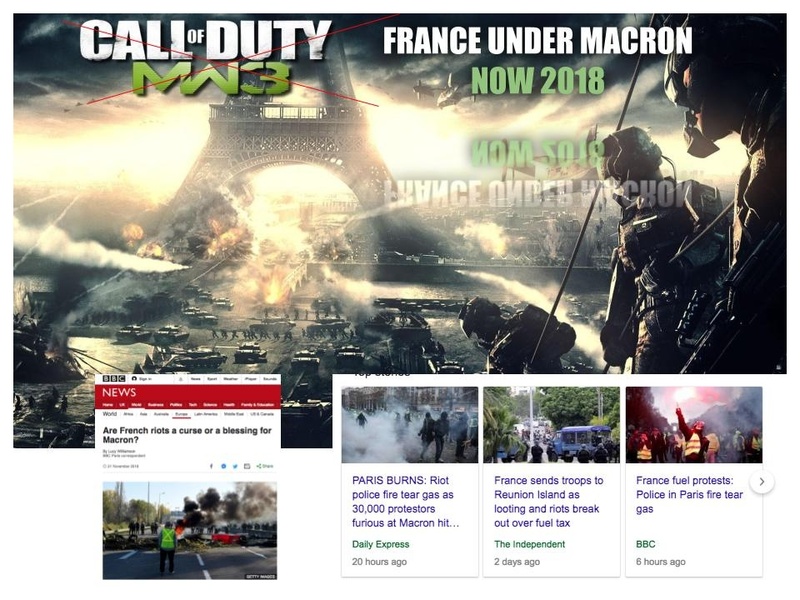 But I don’t think the site is exclusive in any direction and is primarily to show the shocking bias of the MSM and BBC and to exchange views. I’d love to hear from a ‘remainer’ and often read Kate Hoey’s twitter. Great input if from a different point of view, which I don’t always agree with but interesting nonetheless. I’m with you on that one. I think it is crucial to know other points of view and take them seriously in order to rebut them properly. I would like to congratulate @theresa_may for negotiating a #Brexit withdrawal agreement so incredibly close to the one @UKLabour would have negotiated in practice that it near as makes no difference who did it. Bored, I am absolutely amazed ! No, it’s a spoof. That’s not Corbyn himself. I normally indicate that one is a spoof account but forgot to do so this time. That fellow makes me LOL quite frequently. I like to share that sort of thing because IMO we can all use a giggle sometimes to break up the tension. If you look you’ll notice he spells the name Corbin, not Corbyn. Two and a half years ago we stood up and were counted, today it is clear we have been ignored. We MUST be heard, we WILL be heard. I never imagined that I’d despise so much a Party that I had voted for. The Conservatives I’m sure realise that this has now become a prevalent attitude amongst their core voters. But…. we are the little people with delusions of democracy. Perhaps the BBC could explore this and also the BBC’s blatant role in promoting both Remain and Clinton? I know a lot of people hate him,think hes a bumbling bafoon but his Tory (fringe) conference speech showed some balls…and the DUP seem to like him.There are few alternatives?…Do I like Boris?….what does it matter?.Its about policy for me.Anybody who thinks Muslim women look like pillar boxes is good by me. UKIP?…really?…..how many votes would they need to get even 20 seats?…..and is Batten really a great politician and can command power?….No. Boris for leader and fight it from there…….I’m happy for people to disagree…. Lh, the Party’s MPs would never wear it. The Constituency Associations might vote for him but the MPs have the final say. Bojo is a busted flush. Had he had a glittering F&CO career he might have been in with a chance. OTOH, he’d really put the frighteners on Labour having beaten them twice to be London Mayor. TM will probably still be PM in March as the clock ticks down and more and more people just want to be out and a long way away from the EU. I think, as other posters here have stated, that a realignment of politics is inevitable sometime soon as the only choice we presently have is between the pink New Labour Lite Conservative Party and the Monster Raving Loonie Militant Commie Labour Party. Things may get a lot worse before getting better. The PM getting it in the neck from all sides. It will take a strong woman to get through to 30 March but surviving the Home Office was no doubt invaluable training. If he wants the UK Parliament to pass the agreement, that was an incredibly stupid thing to say. On the other hand, if he wanted to make sure the agreement wasn’t passed, that’s exactly what he would say. I’m becoming more certain about my theory. An agreement has been reached with the EU to halt Brexit, but before they can reveal it the charade of reaching agreement only to have it scuppered by the British has to be played out. I’m coming to that conclusion too . I always believed the first referendum would be fixed to remain and was as shocked as the beeboids when the result came through. I wonder if will be engineered to either have the current pink Government fall and a referendum / election as a re run of brexit . The clue as to the plan might be in whether the EU would allow UK to suspend A50. It would also be in their interest to get a slightly watered down sellout agreed – eg reducing the cash prize from 39 billion to 38 billion . As an aside I see HMG has put up that idiot – Rory Stewart to tell us more lies about the sell out . ambition and shame hand in hand. The European Court of Justice is currently ruling on whether Article 50 can be unilaterally revoked by the UK, following a case brought by Scottish MPs, MSPs and MEPs. MI6 are desperately trying to stop Trump from revealing its roll in trying to stop Trump from becoming President. British sources used to justify starting up the ongoing Russia investigation into the Russians trying to stop Hilary from becoming President, therefore proving that the Russia investigation was invalid from the start because it was the British who where interfering in the election by trying to put the blame on Russian interference. Christopher Steele, a former MI6 agent, is the author of the infamous anti-Trump dossier. He also worked for the FBI. The FBI relied heavily on the unverified Steele dossier to fill out applications for FISA warrants. Gregory R. Copley, editor and publisher of Defense & Foreign Affairs claimed that Sergei Skripal is the unnamed Russian intelligence source in the Steele dossier. Fabricated Russian intelligence he had fabricated himself or by those two agents that are now accused of poisoning him. The Trump Dossier was produced in Britain by Orbis Business Intelligence. The Clinton campaign paid a hundred and sixty-eight thousand dollars for its services. Richard – why would Britain actively try to prevent mr trump from becoming president ? Wouldn’t it be a bit inept having an ex employees fingerprints on the file ? If Skripal was involved why would he be ‘ offed’ in such an inept manner ? Why not the usual natural causes? A wild guess would be the use of an inept person such as Dawn Sturgess who had two sons with a man named Andrew Hope. Andrew Hope has worked for the UK based multinational military and cyber-tech spy firm, Qinetiq, since its creation in 2001. Starting as Avionics Instillation Manager, he worked his way up to the rank of Senior Systems Engineer. QinetiQ was formed in 2001 after the government privatized one half of the Defence Evaluation and Research Agency (DERA). The other half of DERA was renamed the Defence Science and Technology Laboratory (DSTL) Porton Down. QinetiQ is a private defence research arm of the government based northwest of Porton Down, at Boscombe Down Airfield. Ex-director of the CIA, George Tenet, was Non-Executive Director of Qinetiq Group from 2006 to 2008. Former US Undersecretary of Defense for Intelligence, Stephen Cambone has worked for QinetiQ since 2007. So at the moment, Trump is only looking at the roll of MI6, not the CIA’s roll in Salisbury. So it could be a case of British and Russian intelligence experts actively helping Democrat supporters in the CIA prevent Mr Trump from becoming President, simply for money, sometimes making up fictional stories for lots and lots of cash, and then turning on each other for losing lots of money paying for dud information which failed to stop Trump from becoming President. Reports at the time said that a blond woman (Dawn Sturgess) seen in key areas of Salisbury at the time of the Skripal incident was a CIA agent married to someone British (Andrew Hope) at Porton Down. It also reported that Novichok was not a Nerve Agent, but a cocktail of organophosphates, as Dr Robin M Black at Porton Down seemed to imply and Dr Stephen Davies of Salisbury District Hospital seemed to confirm. My guess from what is known is that the perfume bottle spray was made at Porton Down, and left behind after Exercise Toxic Dagger. Scientists at Porton Down report that the US federal contracts registry reveals that the Pentagon’s Defence Threat Reduction Agency (DTRA) has funded military projects at Porton Down. Its thought that the bottles could have been the latest developments by a private contractor called, Red Scientific Ltd, which was awarded a contract to explore techniques of delivery. The project’s stated goal was to improve the efficiency of aerosolisation over the current techniques used by Porton Down. I’m guessing that the truth won’t see the light of day on this . Personally I hope Mr Trump survives to make it to the next election and wins it . Then he can really take on the swamp. It’s because under their constitution, the US can’t go all in on spying on a presidential candidate. They can however ask one of their 5 eye allies to do it – which is what they did. And it is for this reason that they are bleating that they don’t want Trump to reveal the details in case it shows their grubby hands all over this. Great Britain has been subject to a disgraceful act treason. IMHO Mrs Chamberlain should resign or be kicked out and I D Smith should take over. Its not what Al Beeb would like but we have had are two years of a pretend leave. A ‘War cabinet’ needs to be formed of a coalition government with a mandate to leave without a deal. The world looks on and waits to see if we either trade with them or become a subservient state with no status whatsoever. The cradle of democracy has become a banana state under Mrs Chamberlain, her snowflakes, Al Beeb and our MSM. Write to your MPs . Vote and support UKIP. “Farewell poor man, you owe satisfaction to the offended laws of your country, but God bless you! Contemporary comment on the death of John Bellingham. This whole fiasco is a disgrace. The portrayal of May by the Beeb and MSM as some stoic leader is an outrage and deceit of the highest order. The papers should be screaming about this travesty of a deal yet the narrative of ‘it’s the best we could get’ is all that I hear. When the nation voted Leave I was incredibly proud of what the people of this country had done. We displayed some backbone, we hadn’t all been broken by the endless negativity and somewhere we still had the pride and belief that we could make it on our own. Yet that spirit has been trodden all over. Our MPs and Leaders who were given an instruction, not a suggestion, to Leave have betrayed that impressive resilience. May and her cohorts are a disgusting deceitful bunch of traitors that deserve nothing but contempt for the stitch up that they have orchestrated. The Beeb are all too happy to gleefully push the narrative that Trump was a traitor with Putin, that he colluded with the Russians (which is all insane) yet are in complete denial over the blatant collusion going on with the EU in selling our great country down the line. I’ve followed UK politics for over 30 years but this could be the thing that breaks me. That reveals that there is no point in democracy, no future for this country and that bar about 10%, the contents of the HoP belong at the bottom of the Thames. Troubled Comrade Robinson happily interviews a labour remainer before the 7am news . After the 7am news he interviews another Labour Remainer namely Keir Starmer . If you were looking for evidence of lack of balance and bias there is 30 minutes worth . As I end this post I wait for evidence of the view of any brexiteer on the far left BBC this morning . But there is none .